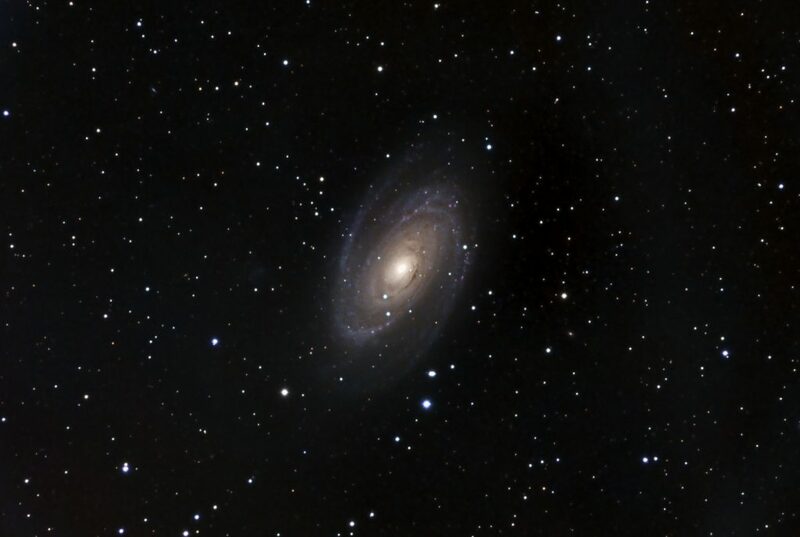 Messier 81, also known as NGC 3031, is a spiral galaxy in the constellation Ursa Major, very near to the asterism of the big dipper. The galaxy is located roughly 12 million light years from Earth. 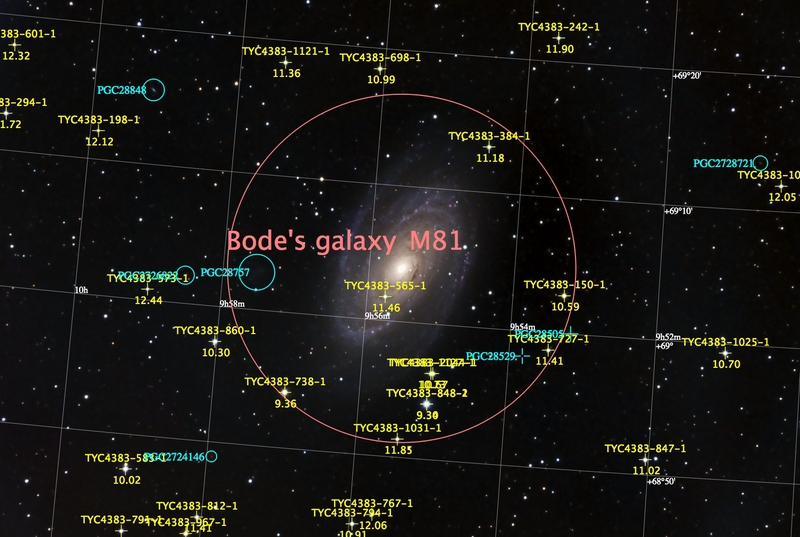 It was discovered by Johann Bode in 1774 and added to the Messier catalog in 1779, and is colloquially known as “Bode’s Galaxy”.